With more than four decades of experience in teaching dance has resulted in creating proficient dancers, professional dance artistes, dance teachers and choreographers, Apsaras Arts Dance Academy continues the legacy of its founders and their vision in passing on the traditions of their alma matter – Kalakshethra Bani to the next generations. Over the years Apsaras Arts Dance Academy graduates have be acclaimed for their high standards and several of them have established branches of Apsaras Arts internationally and have been training many students in around the world. Apsaras Arts Dance Academy Singapore provides trainings in Bharatanatyam (Kalakshethra Bani), Kathak (Lucknow & Jaipur Gharana) and Kuchipudi (Vempatti Chinnasathyam Style) by professionally and academically qualified dance instructors. Sign up now to be trained and guided to become an Dancer, Teacher, Choreographer and an Arts Ambassador. The main objective of Apsaras Arts Dance Academy is to provide opportunities for the students to have the experience of stage performances throughout their learning journey. Learn simple and beautiful dance choreographies. On their completion of Bala Bhartham Course each studnet will be given a certificate followed by an opportunity for a dance performance at the Annual Academy Day show. Certificate course is developed with three different levels of learning for 8 years on a part-time basis. The course is designed to focus on both practical and theory apects of Bhartanatyam an Kathak. Every year the students will go through an assessment on their learning and promoted to the next level based on their accomplishment. On the 8th year they will be prepared for a debut performance as part of their final year assessment . Upon successfully completing the 8th year certificated course, the students can stage their Arangetram (Solo Debut Performance) and will be bestowed with a title of “NATYA CHUDAR” by Apsaras Arts Academy. As part of their learning journey students will be given the opportunities to perform at various platforms. Upon completion of the 8th year of study, the students may be considered to be part of the Apsaras Arts Dance Company as a trainee company dancer. This course is specifically designed for those who have had prior experience of learning Bharatanatyam or Kathak over 8 years or who have completed their Arangetram (solo debut graduation performance). The course focuses on specific advanced topics such as body conditioning, dance techniques, tala techniques and detailed abhinaya, to enable them to aspire to be a star performer. During the course the students will be offered to perform with the company production and shows based on their experience and commitment. There will be a certificate provided at the successful completion of the course. This courses provides training for a short term period who are visiting Singapore for a short period for time, to have dance training sessions under the tutelage of our experienced teachers. 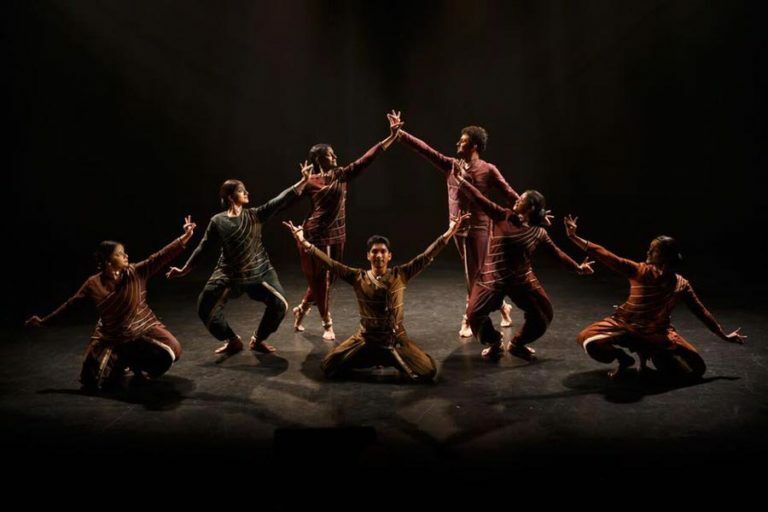 The course also offers training to those aspiring dancers, who would like to take a mentorship programme to work on a repertoire or production with guidance of our creative team of Apsaras Arts Dance Company. If you wished to work on your repertoires newly choreographed by our resident choreographer, we offer this course to you. Seasonal workshops and master classes are offered to enthusiastic kids and adults for a selected period of time. These sessions to bring awareness among the dancers on the basics of Bharatanatyam like Techniques and expressions. Since these workshops only can accommodate a limited number of participants, please visit our website for the updates to know the upcoming workshop and use the opportunity to grab a slot for yourself. If you have a prior training in Bharatanatyam, we are open to you to connect with us from anywhere in the world to continue your training in dance. These sessions are individually designed for each individual student upon their request on the different modules of classes. Call 65735866 for enquiries or email apsaras.arts@gmail.com to register for classes. Please check out the latest training news!